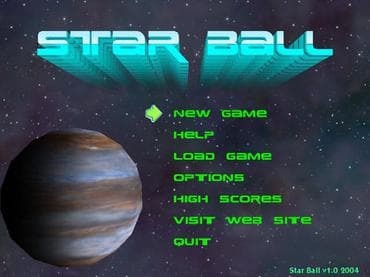 If you loved Arkanoid then you'll enjoy Star Ball. The scene is the edge of the galaxy where deep within an ancient culture you'll find an ancient artifact known as Star Ball. Your quest is to find this artifact but it's protected by a rock solid wall of bricks. However, the Star Ball contains ancient knowledge that mankind has forgotten and needs to remember if it is to save itself. During your mission, you pilot a spaceship equipped with gravity shields and weaponry on your way to rescuing the Star Ball. Along the way, you'll find many many power-ups, such as laser guns, missiles, plasma balls, fire balls and much more. Download free full version game today and start your quest! Free Game Features: - Amazing graphics and relaxing soundtrack; - Unique twist to the breakout genre games; - Unique power-ups; - Save / Load game option; - Free full version game without any limitations. If you have questions about Star Ball game, please contact us using this form.